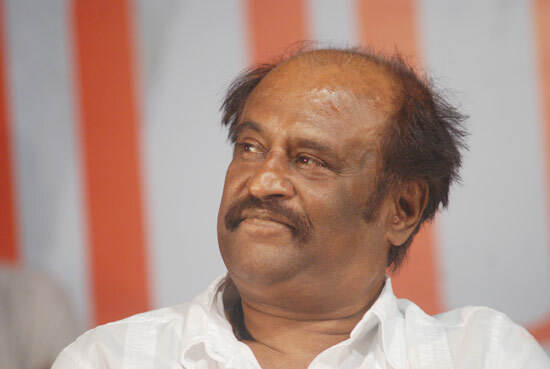 As usual Superstar Rajinikanth, disappeared from Chennai on Sunday (Dec 12) his birthday. A news agency report said that fans in Chennai offered sweets to one another and posters of Rajinikanth adorned the walls with followers organizing pujas in temples. Meanwhile the elusive star was spotted celebrating his birthday wearing a white shirt and blue jeans at Mohan Babu’s residence in Hyderabad. Later Telugu star Mohan Babu tweeted : “Happy to be spending time with Rajini on his special birthday (Sasthipoorthy?). Wishing my friend Rajini, a very happy birthday. Lot more, good things to come.